Standard Tool £19.95 + P&P. Professional Pack £35 (Incl. UK delivery). 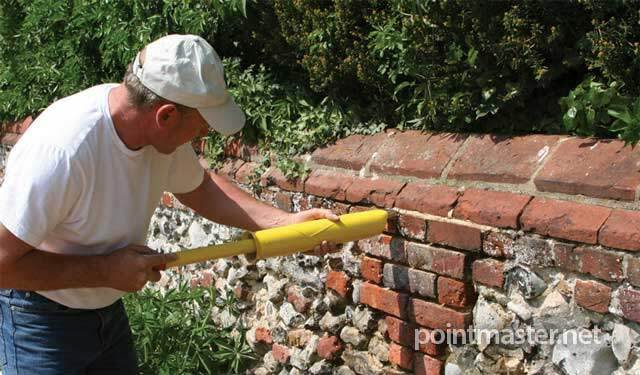 Designed for the trade, the PointMaster mortar pointing gun is made to use 'real' regular mortar or grout rather than expensive special mortars that can be costly or difficult to mix. 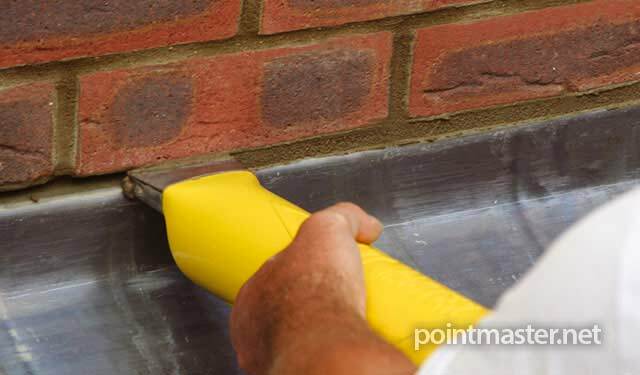 You don't have to make mortar suitable for the tool; It's designed to apply mortar or grout suitable for the job. Your mortar's strength isn't compromised. Small stones left in the mortar mix won't block the nozzle as you work. Click here to watch a ½ metre² of brickwork pointed in just 2 minutes ! The PointMaster keeps it simple. 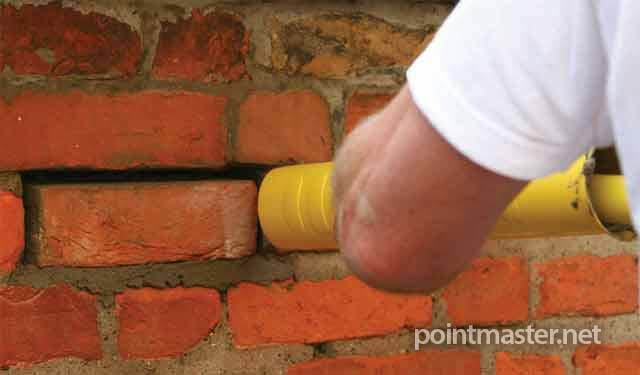 Unlike other pointing guns, the PointMaster's trigger free design ensures a smooth and continuous mortar flow, by 'pushing' rather than 'squeezing' the mortar mix. As there is no mechanism, efficiency and speed of application are greatly improved. This simplification has the added benefit of making the tool much easier to use. It is robustly made and very hard wearing, which is vital given the abrasive nature of the sand contained within all mortar and grout mixes. It is also extremely easy to re-load. 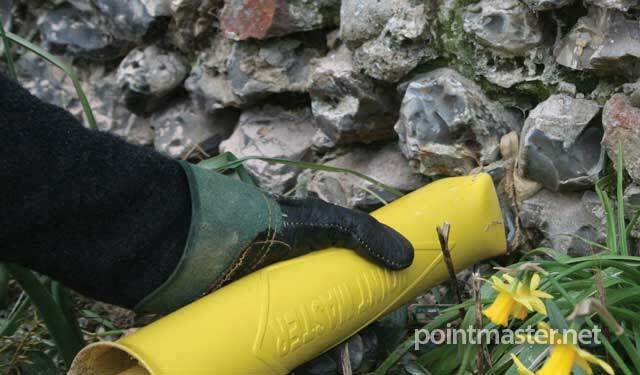 Refilling the PointMaster takes just seconds, so there is little delay in getting your new mortar into the joints. This all helps you to save the maximum amount of time. How do I use the PointMaster ? 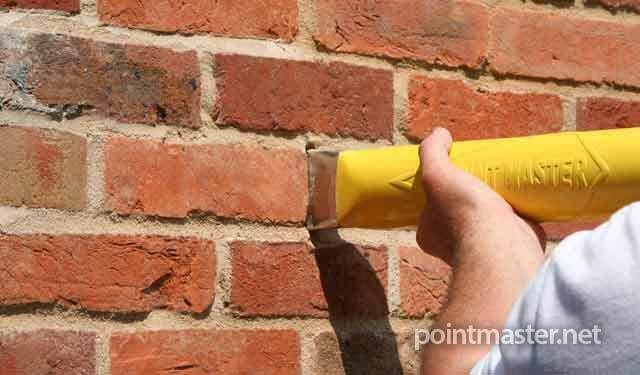 Keeping the tool at right angles to the mortar joint, apply hand pressure to inject the mix. 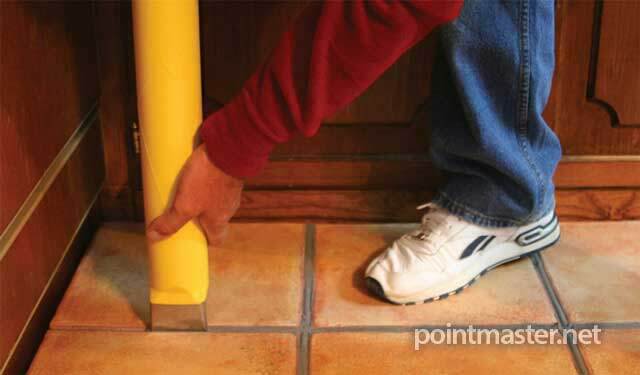 Mortar or grout is applied right to the back, ensuring a complete fill, without air pockets. As mortar fills the joint, move along, repeating the process until the joint is filled. If the joints are even, a continuous sliding motion is possible. 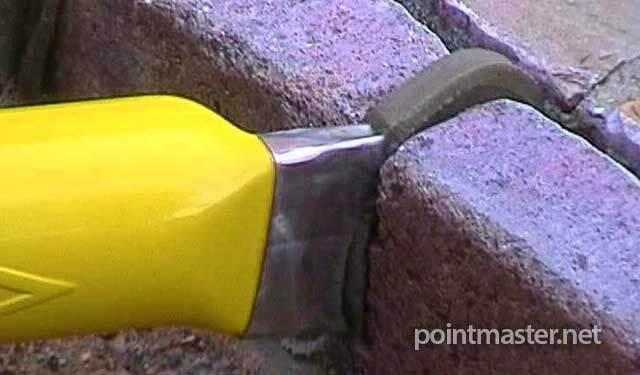 For uneven mortar joints you should use a stepped process: place, fill, remove, move along, place, fill. Allow time for the mortar to partially cure, then strike and finish as required. Application is precise and extremely fast. Waste material is reduced. High flow, offset, stainless steel nozzle is user adjustable to suit various joint widths. The tool is suitable for multiple varied applications and different mortar mixes. Ergonomic design enables the tool to be used for prolonged periods. High capacity cylinder and flared loading end ensures fast application and fill cycles. 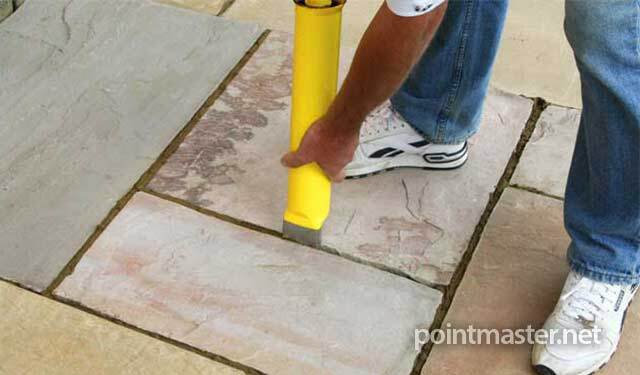 Watch Pointmaster fill 7x 35cm paving Joints in 25 seconds! Click the "Play" button below to watch the demonstration using regular cement mortar. 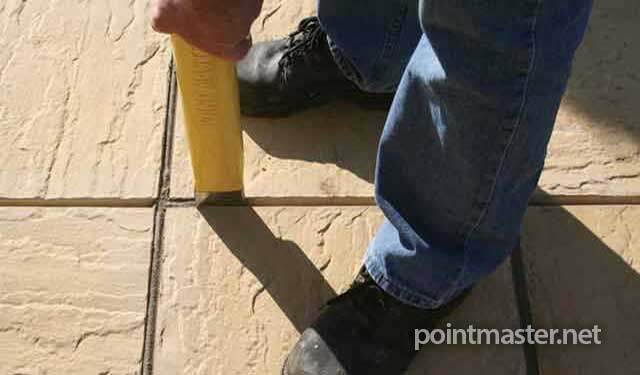 This 2 minute video is in two parts: firstly we demonstrate the Point Master completely filling 7x 35cm regular sided paving slab joints in just 25 seconds and with only one fill. Secondly, we add sharp sand and small stones into the mix, then re-mix, then reload the tool and continue pointing the same slabs, proving that small stones really won't block the nozzle.